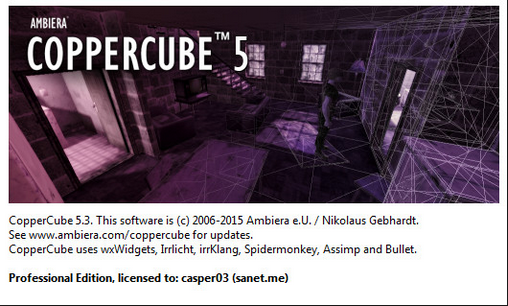 CopperCube is an editor for creating 3D apps, games and 3D websites. Import or create your 3D models, set camera controllers, materials, behaviors, click 'publish' and your app is ready. Create everything from simple model viewers to full 3D games. As WebGL websites, Flash .swfs, Mac OS, Windows, or Android apps. You can do all this without programming.